The financial sector has lagged the broader market this year. Apparently, the anvil tied ’round its neck is heavier than that weighing on the S&P 500. The hobgoblins haunting bank stocks range from rising rates and inverted yield curve fears to tariff trauma and a slowing global economy. Today we’re going to take a look at a trio of bank stocks that look particularly deadly. Not that terrible looking equities are that hard to find. With the market in meltdown mode and on pace for the worst December ever, bearish charts are a dime a dozen. 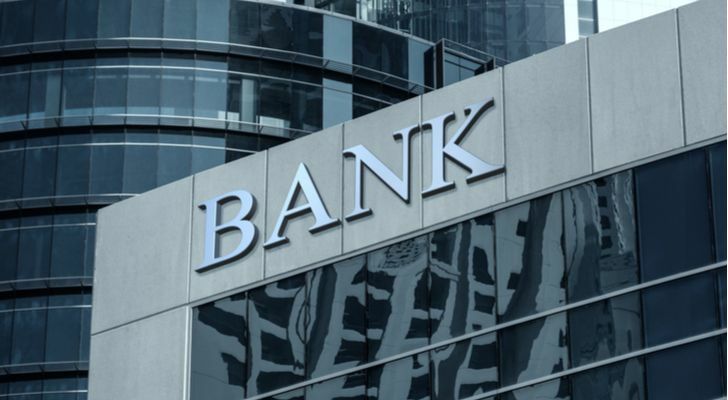 In selecting which bank stocks to zero in on, I focused on using the RSI indicator to identify those that saw increasing momentum during their recent downswings. These types of downtrends are the most attractive to use for bearish trade candidates. Enough with the appetizer. On to the main course. Behold, three bank stocks that look like death. Of all the big hitters in the banking space, Goldman Sachs (NYSE:GS) might be the worst performer for 2018. Year-to-date, GS stock is down 37%. Its downtrend accelerated in November and it hasn’t been able to find a bottom yet. Aside from the concerns mentioned earlier that are pulling banks into the abyss, Goldman Sachs has suffered from fallout over the 1MDB scandal. With GS stock so deeply oversold, it isn’t prudent to deploy new bearish trades here. Any type of rally north of $170, however, could create a low-risk entry. Citigroup (NYSE:C) is on track for a 2018 loss of 31%. The dramatic descent has reversed its once glorious daily and weekly uptrends. Given the number of smashed support levels, C stock now has ample overhead resistance to wrestle with. So consider future rallies as events made to be sold into. The massive volume accompanying this month’s nosedive suggests institutions are fleeing Citigroup in droves. This type of action leaves little reason for optimism. And yet, the challenge with piling in with new short trades is the negatively skewed risk-reward. Sharp rallies like yesterday illustrate the tricky nature of shorting into the hole. Bottom line: Wait for a pop toward $55, then you have a green light for bear trades. For our final selection of troubled bank stocks, we’re turning to Wells Fargo (NYSE:WFC). At $45, WFC stock is now down 26% YTD. Its winter descent is mirroring that of Citigroup. High volume down days have exploded showing this is an institutional-driven exodus. The 200-day, 50-day and 20-day moving averages are all sliding lower showing sellers are in control of the price trend across all time frames. Like its predecessors, however, I don’t suggest deploying new short trades here. Wait for a rally toward resistance near $48, then fire away. Article printed from InvestorPlace Media, https://investorplace.com/2018/12/3-bank-stocks-that-look-like-death/.